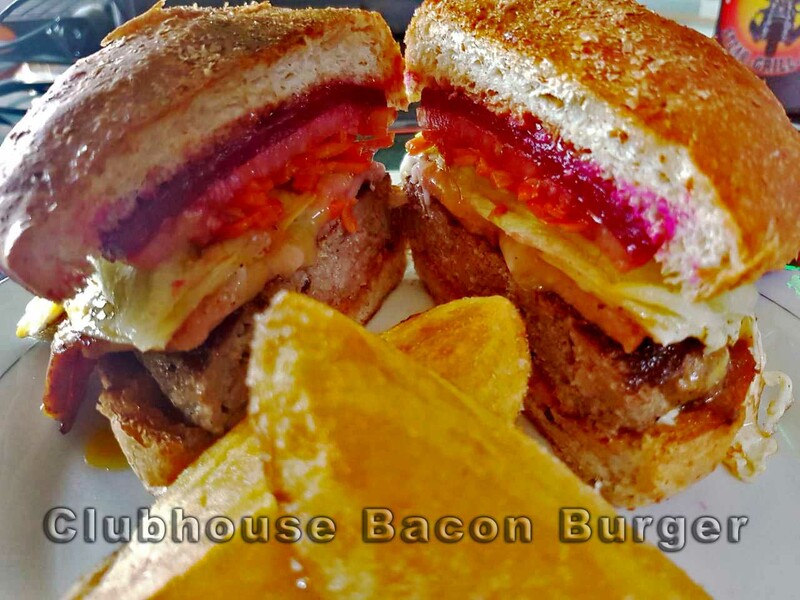 The Clubhouse Bacon Burger is a delicious ground beef patty topped with bacon, cheese, egg n beetroot and served with our house salad. This is one awesomely delicious burger and one that is sure to fill you up. Comes with a couple of our oversize potato wedges. 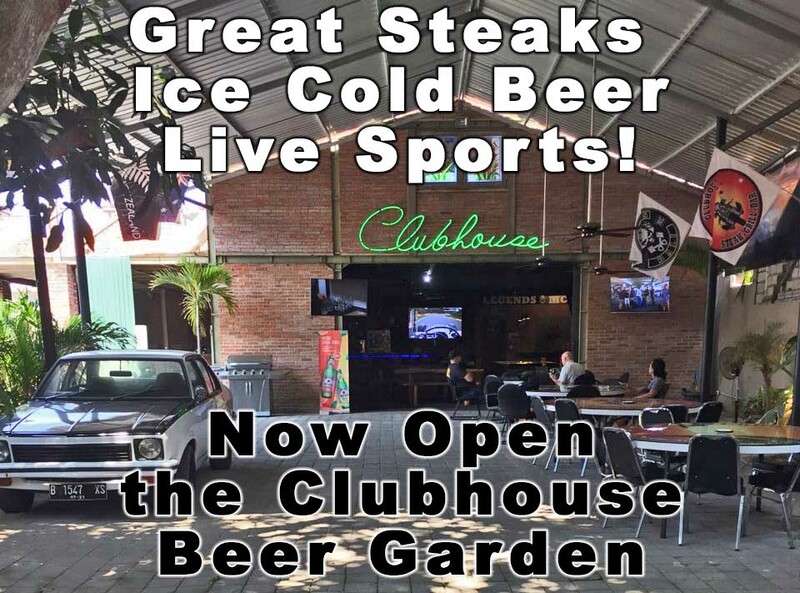 Comon down to the Clubhouse Steak Grill & Bar for an Ice Cold beer and one of our legendary bacon burgers! We don’t mess around, huge steaks, burgers, wedges, salads and the coldest beer in town!